ALL of my kids are huge Harry Potter fans. Even before we made these fun magic wands my children would go around putting spells on each other and having wizarding duels. So I decided it was time for them to have proper wands. 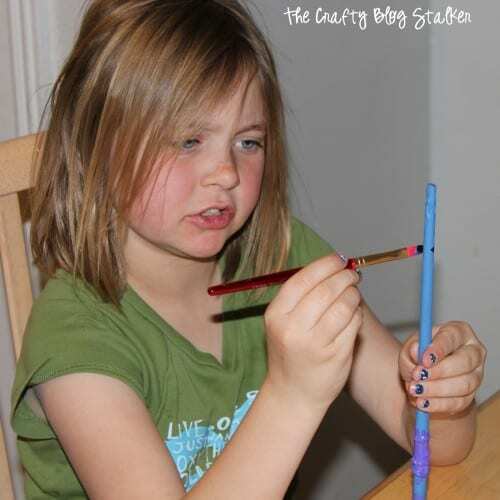 The idea came from Sugar Bee Crafts when she helped her kids make their own wands. The instructions on how to make the wands are found here. 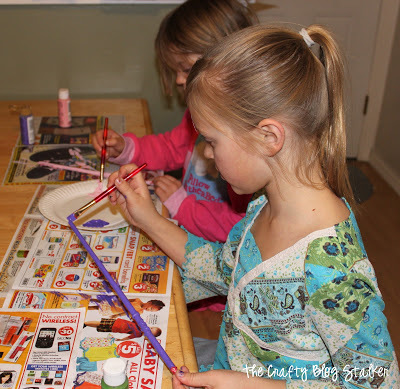 All you need is some paper, hot glue, double sided tape, and some paint to personalize them. I made the wands and then let my kids paint them however they wanted. After the magic wands had dried we put in our favorite Harry Potter movie and watched it together so they could practice all their spells with their new magic wands. The kids had a ball! 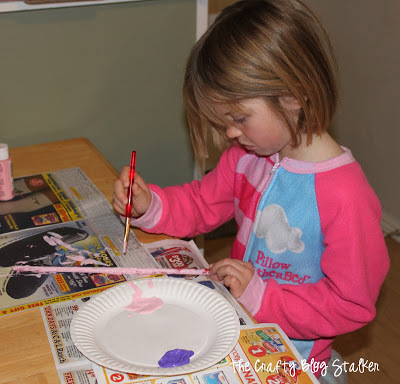 SAVE HOW TO MAKE MAGIC WANDS TO YOUR FAVORITE KIDS CRAFT PINTEREST BOARD! And let’s be friends on Pinterest so you can see all the DIY projects I’m pinning! Wonderful idea. We’re also big Harry Potter fans and found ourselves making wands as well. My daughter even made me a spell book with really useful spells like “Clean your room!” Your wands look great. What a fun idea! My kids would love to make these..
great idea, my daughter would love this! 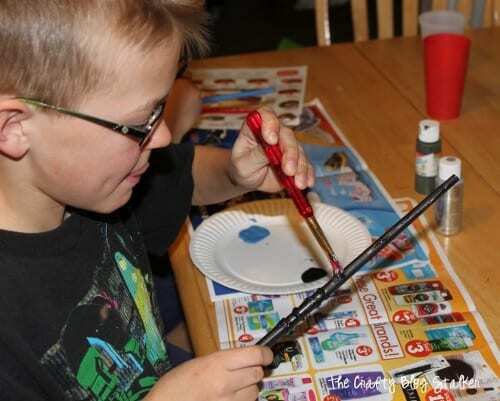 This is such an awesome project that the kiddos can do almost on their own and what a great end result – magic wands. Thanks for sharing at our party this week. I used the handles from paint brushes and hot glue around to create the wrapped vine look. This is great fun! Neat! Glad to have you at Things I’ve Done Thursday! What a fun project for the kiddos. Our spring break is next week, I’ll have to keep this in mind. Thanks for linking up to Terrific Tuesdays.